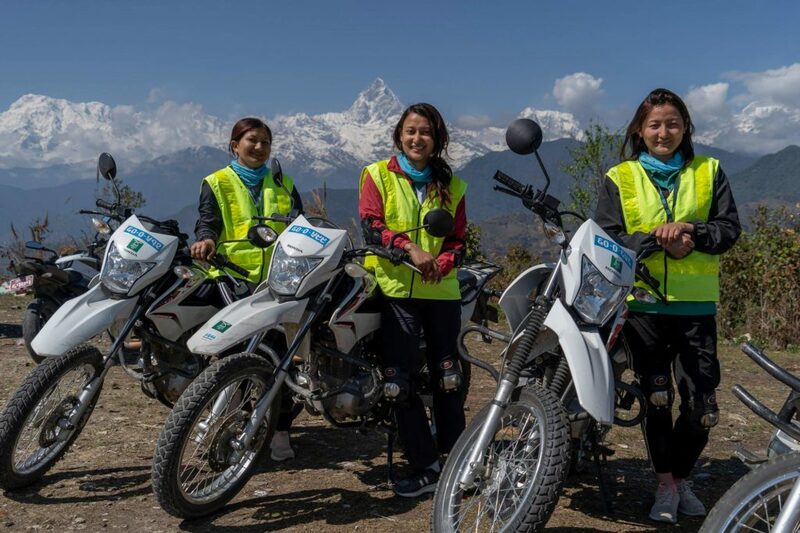 Some of our female staff in Nepal have been undertaking motorbike training. Their new skills will enable them to venture out to support Gurkha veterans and widows living in the hills of Nepal. You may remember this time last year when we partnered with the UK’s leading road safety charity and advocate IAM Roadsmart. We asked them to help train our staff on motorbike techniques to keep them safe in the hills of Nepal. The training was a big success but identified a need for a slightly amended training programme to cater for some of our female colleagues. On 25 March 2019 IAM Roadsmart trainers were back in Nepal to make that happen. Over the five-day course, a selection of our female staff were taught the basics of motorbike mechanics, how to safely mount and dismount our bikes, and some practical training over difficult terrain. 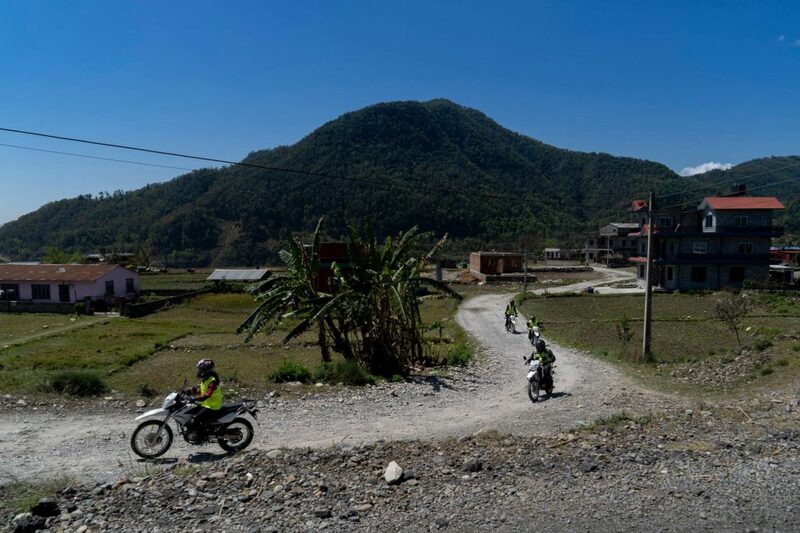 Once our team had mastered the basics they were out on some longer journeys – reflective of the kind of drives they will be taking to reach our most vulnerable pensioners in remote villages of Nepal. By day five the team had really found their stride. Would you ride a motorbike across Nepal’s tallest and longest bridge? On the final day of the course Pooja followed the trainers’ lead and successfully rode her bike across the highest and longest suspension bridge of Nepal (344 mtrs Long, 117 mtrs approx. above the Modi River). Check out the footage of it in our video below. Would you give it a go? IamRoadsmart have been blogging about the training from Nepal. Be the first to read stories like these by signing up to our monthly eNewsletter.